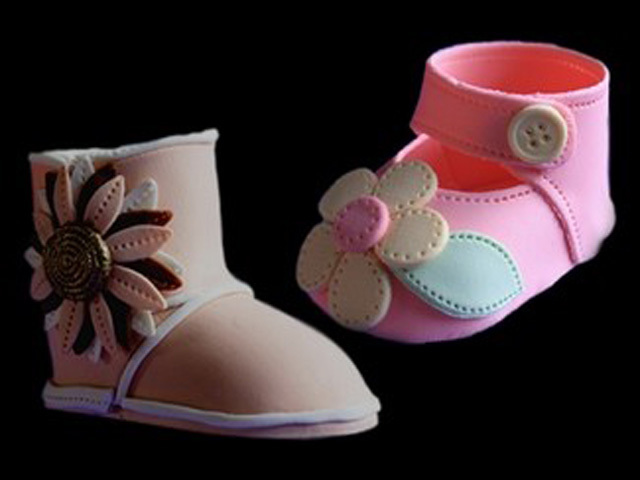 Complete kit to make different styles of baby shoes from Mary Janes to Crocs & Booties! May be used with gum paste or air-dry, non-toxic clays. Kit Includes: 5 cutters, shoe former, step by step instructions and pattern ideas for 9 types of shoes. Finished shoe measures approximately 3 3/4" length.